There are a variety of options available for people seeking smooth, healthy-looking facial skin. Some treatments work best for fine lines, pigmentation changes, acne prone skin, dry aged thickened skin, or sun damaged skin; other procedures are better suited for deeper wrinkles, scars or other imperfections. Many treatments require little or no “down time” for recovery or healing. Others may require more time for healing. Dr. Rasmussen, as a plastic surgeon, is a skin-care expert who has training and experience with a variety of skin revitalizing and resurfacing treatments. It may be that a combination of techniques rather than one single method will give you the best results. Your face is the most visible part of your body – Dr. Rasmussen will provide you with a medically supervised skin care program incorporating quality skin care products for daily home use, the services of her medically trained aestheticians for periodic enhancement, and laser treatments when indicated. The basis of many of Dr. Rasmussen’s recommendations are skin resurfacing or “exfoliating” techniques – the deeper one treats the skin, the more dramatic the result, the longer lasting the result, but with greater risk and sequelle. Therefore, topicals which enhance the exfoliation rate, such as physician strength glycolic acid, are considered “low level” skin resurfacing treatments; micropeels and microdermabrasion are more aggressive, but still “low level”. The VI Peel™, a proprietary physician strength chemical peel, and FRAXEL™, a fractional photothermolysis laser, are moderately aggressive exfoliating procedures, and the CO2 laser is a very aggressive skin resurfacing procedure. Glycolic acid, an alpha hydroxy acid, is the basis for Dr. Rasmussen’s skin care program. Because of its small molecular size, glycolic acid has the greatest penetration potential of all the alpha hydroxy acids. Specifically, studies show that glycolic acid helps to loosen or break up the thick outer horny layer of the skin (stratum corneum) where excessive build-up of dead skin cells can be associated with many common skin conditions. Simply put, it enhances the exfoliation rate of the skin to improve tone and texture of the skin, reduce photo-aging including fine wrinkles and pigmentation changes, and improve acne prone skin . The products Dr. Rasmussen prefers have a significantly higher glycolic acid concentration than any “over the counter” product, and thereby attains significantly better results. In addition, her glycolic acid products are considerably more affordable than those purchased at the cosmetic counter. Twice daily use is recommended. Tretinoin products, such as Retin-A or Renova, act to effect similar changes to the skin, but they work on a cellular level. They can be added to a glycolic acid skin care program to enhance the overall result. However, they tend to be more irritating and photosensitizing, so close monitoring of dose and frequency is necessary. Prolonged use of tretinoin products can result in thinning of the skin. Dr. Rasmussen’s two personal favorite facial skin care products are “all in one” products: Both contain physician strength glycolic acid which enhances skin exfoliation; both contain natural antioxidants which protect epidermal cells from the harmful effects of environmental stressors that prematurely age the skin; both contain plant extracts which act as natural lightening ingredients. The first “all in one” product is the VI Derm™ family of skin care, the same company that makes the VI Peels™ that she offers as a skin resurfacing treatment (see below for more information). It is called Complete Care, and contains 10% Glycolic Acid, 2% Retinol, 10% Vitamin C, and 2% Azelic Acid. The Glycolic Acid and Retinol provide exfoliation; the Azelic Acid, Vitamin C and Retinol suppress pigment and infuse the skin with powerful antioxidants. Green tea and coffee berry join the synergistic blend of antioxidants for cell regeneration and protection from free radicals, thereby promoting and supporting skin wellness. The second “all in one” product alternative is from the Jan Marini® Skin Research family, from which Dr. Rasmussen offers several products already. It is called Bioglycolic® Bioclear® Cream and contains 12% Glycolic Acid, 2% Azelic Acid, 2% Salicylic Acid, antioxidants and plant extracts. The combination of the acids, antioxidants, and plant extracts is comprehensive in addressing multiple concerns including texture, fine lines and wrinkles, pigmentation and uneven tones, rosacea and enlarged pores. Two other physician strength glycolic acid products that she offers include Skin Medica’s® Glypro Renewal Cream and Glypro Antioxidant Serum. These products were formerly of Allergan’s Vivete® “premier skin care line” based on “GLX Technology”. GLX Technology is a unique fusion of physician strength glycolic acid compound with natural antioxidants to form a matrix that enables greater skin penetration to help maximize anti-aging benefits to the skin. This fusion helps promote the production of hyaluronic acid, collagen, and epidermal growth factor, all of which are essential to the integrity and health of the skin. The Renewal Cream is 20% Glycolic Acid and the Serum is 15% Glycolic Acid, and both contain natural antioxidants. Click here to learn more about glycolic acid. Topicals referred to as “bleaching agents” don’t really “bleach” the skin…they make dormant your pigment cells. These products take approximately one month before effects are visible; and if the products are stopped, the effects are generally reversed. Hydroquinone is one of these products, and is available by prescription. Dr. Rasmussen also offers non hydroquinone bleaching agents that include a blend of natural lightening ingredients that when used together are helpful in reducing hyperpigmentation. Click here for more information on Hyperpigmentation. 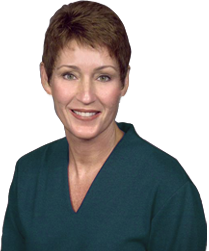 Dr. Rasmussen offers the services of medical aestheticians. The aestheticians may make further recommendations to your initial physician strength glycolic acid home skin care program. You may also benefit from aesthetician “revitalizing treatments”, commonly referred to as “micropeels”, all which have the same goal (smoother, fresher-looking facial skin) but which work in different ways. Our medical aestheticians also perform facials, MegaPeel® microdermabrasion, and under the direction of Dr. Rasmussen, the VI Peel™ . This treatment is a type of superficial skin resurfacing technique designed to accelerate the exfoliation process by manually removing the dry, dead cells on the surface of the skin and allowing new cells to appear. It has been demonstrated to reduce the effects of aging, sun damage and hyperpigmentation, and to improve acne and acne scarring. A series of 4 – 6 every week or two is recommended, followed by monthly maintenance. MegaPeel® microdermabrasion is performed by our medical aestheticians. Click here for more information on Microdermabrasion. The VI Peel™ is a proprietary physician strength chemical peel that Dr. Rasmusssen frequently refers to as “a poor man’s FRAXEL™”. The VI Peel™ reverses the effects of sun damage by reducing age spots, freckles and hyperpigmentation, including melasma. It also softens fine lines and wrinkles, and it is highly effective in clearing acne. There are three options or “levels” of the VI Peel™: the “basic” VI Peel™; the VI Peel ™ Precision, which is the basic peel with a “booster” to penetrate the skin more deeply for more effective treatment of aged or moderate sun damaged skin; and the VI Peel™ Precision Plus, which is the basic peel with the booster and extra lightening agents for sun damaged skin associated with severe pigmentation changes. Typically applied by Dr. Rasmussen’s medical aestheticians, the VI Peel™ options are painless and take only a few minutes to apply. There is a period of three to five days when the skin is noticeably peeling. By the seventh day, most patients report an obvious improvement to tone, texture and clarity of the skin, and diminished uneven pigmentation. In some cases, a series of the VI Peel™ may be recommended to achieve optimal results. While more expensive than traditional aesthetician peels, it is a less expensive alternative to deeper resurfacing procedures such as FRAXEL™, especially when used in a series of treatments. FRAXEL™ has recently been featured on The Today Show, The View, In Style Magazine, Self Magazine, and O, The Oprah Magazine. 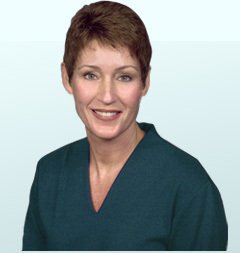 Since 2006, Dr. Rasmussen has performed fractional photothermoloysis, also known as FRAXEL™ laser treatment. FRAXEL™ has been developed to achieve moderate resurfacing with fewer side effects. FRAXEL™ is FDA approved for overall skin texture, treatment of fine wrinkles, treatment of discoloration of skin tone such as sun spots, age spots and melasma, and acne scars. Different energy and treatment levels are selected based on the individual needs of a patient and a series of 3 to 5 treatments are generally recommended. These are performed with the aid of topical anesthetic. For your safety and ideal results, Dr. Rasmussen performs FRAXEL™ herself, not an assistant. Click here for more information on FRAXEL™. This procedure is helpful for the reduction of notably fine wrinkles such as cross-hatching of the lower eyelids but also deeper wrinkles, such as lines around the mouth. The major advantage over most other skin resurfacing techniques is the effectiveness and predictability in removing sequential layers of skin precisely and cleanly. Because it makes the skin “raw”, healing is more prolonged, but the results are more dramatic and long lasting. Since it is a deeper exfoliating skin resurfacing procedure, it carries more potential risks and sequelle. It typically is performed under local anesthesia with sedation or general anesthesia. Click here for more information on the CO2 Laser. A deep chemical skin peel, or phenol peel, is the strongest of chemical peels, and is reserved for individuals with deep wrinkles from sun exposure or to treat skin wrinkling around the lips and chin area. The procedure diminishes imperfections in sun-damage, unevenly pigmented, or coarsely wrinkled facial areas by peeling away the skin’s top layers. Dr. Rasmussen prefers the use of CO2 laser over the phenol peel for deeper treatment of wrinkles since, in her hands, the CO2 laser delivers a more predictable result.